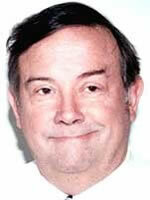 Hal Corbett McKenzie is one of the few journalists in America who has covered the UFO scene professionally. As a founding editor and writer for The News World daily newspaper in New York City, which later changed its name to the New York City Tribune, he edited a weekly supplement called UFOs and Other Cosmic Phenomena. The supplement featured interviews with the late J. Allen Hynek, the "father of ufology;" New York artist Budd Hopkins who authored the books Missing Time and Intruders that introduced the abduction phenomenon to the public, UFO archivist and photoanalyst Colman VonKevicsky; and Aphrodite Clamar, a New York psychiatrist who has treated abductees. Chilean UFO journalist J. Antonio Huneeus, now a writer and editor for Fate magazine, was a regular contributor. The supplement also provided a sounding board for local UFO researchers. He moved to Washington, D.C., in 1970, where he served as associate editor of the FLF newspaper, The Rising Tide. He participated in the founding of The News World in 1976. During the 14-year life of the newspaper he served as international editor, news editor, science editor, commentary editor and finally senior editor, as well as editor of UFOs and Cosmic Phenomena. When in 1982 The News World changed its name to The New York City Tribune and dropped the UFO supplement, he continued to field space and UFO-related articles as science editor. The paperback edition of Whitley Strieber's book Communion quotes McKenzie's review of the book. From 1991-93, while working as current affairs editor for The World & I magazine in Washington D.C., he published free-lance articles in UFO magazine and in British UFO writer Timothy Good's book Alien Update 1993. He was also active in Operation Right to Know, a political organization dedicated to ending UFO secrecy, serving as secretary-treasurer. In June 1993 he testified before a hearing of the National Archives and Records Administration's Information Security Oversight Office and in July helped organize a demonstration in front of the White House to demand an end to UFO secrecy. In September 1993 he moved to his late father's hometown of Montezuma, Georgia, and worked as reporter and editor for the Americus Times-Recorder, winning the 1996 Georgia Associated Press Public Service Award, Class A; and staff writer for the Robins Rev-Up, the weekly Air Force newspaper at Warner Robins Air Force Base. In March 2003 he became webmaster of www.cosmictribune.com, a website dealing with extraterrestrial, environmental and religious news. He now works as webmaster for Insight on the News, a website sponsored by The Washington Times. McKenzie and his wife, who teaches kindergarten, now live in Macon, Ga., and have five children and one grandchild. Hal McKenzie is a member of the Advisory Board of the Exopolitics Institute.